The staff of Freeburn Hamilton welcomes any opportunity to support the academic success of our future generations. This year, the Freeburn Hamilton 2018 College Scholarship Essay Program received and reviewed numerous submissions from both prospective and current undergraduate students either attending or applying to accredited colleges and universities. 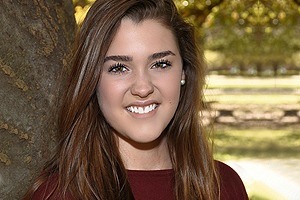 This year’s winner of the Freeburn Hamilton 2018 College Scholarship Essay Program is a freshman at Baylor University. She currently pursues a double major in both Business and Health—with a minor in American Sign Language Interpretation. She is active in both sorority life and student government—and plays multiple musical instruments in her free time. For her essay, she chose to relate a very personal experience regarding a car accident in which she almost lost a close family member to the dangers of texting while driving. Her sobering and thoughtful composition recalled her fear and uncertainty at the potential loss—and the important lessons which resonate with her to this day. All of us at Freeburn Hamilton offer our thanks to every student who completed a submission this year. Every one of your essays was revealing and engrossing. We enjoyed reading your work—and know you all have bright futures ahead.